Semi-sweet wine aged in American Oak barrels. Grape varieties: Palomino and Pedro Ximénez. 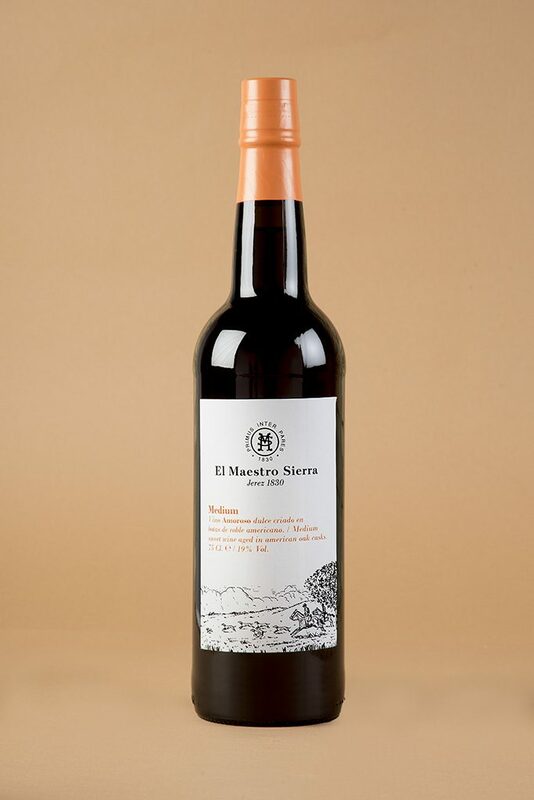 The Amoroso (Medium) El Maestro Sierra, like the cream, comes from the coupage of two grape varieties of the Jerez-Xeres-Sherry D.O. The Amoroso Medium El Maestro Sierra is a unique and exclusive specialty of our bodega and it comes from one of the deepest and most humble stories. The workers, on their way home, used to stop at the bodega’s shop. Besides ordering their usual wine, they would also ask for a large bottle of Oloroso with a touch of Pedro Ximénez for their wives, so that the wine would taste more “amoroso”, or loveable. Thus the Amoroso Medium is a blend made from 90% of 15 year old Oloroso and 10% of Pedro Ximénez, which will be aged for another further 4 years in American Oak Barrels. To the senses: Nutty, harmonious, delicate. For El Maestro, it goes with… Valentine’s Day.